It’s important to bear in mind that canaries and other finches do not climb about on perches and cage bars as do parrots. Flight space is a critical point in cage selection. Also, finches are only rarely let out of their cages for exercise and interaction with owners. The vast majority spend their lives in a cage…in many cases able to only hop a few inches from perch to perch, day in and day out. Some finch and canary owners balk at the price of large flight cages. It seems not to “make sense” to lay out large sums to provide for a relatively inexpensive pet. Related to this is the fact that many people are drawn to Zebra Finches and certain others because of their low price. Such people may be unwilling or unable to provide a proper home. Please remember – a bird or other animal’s purchase price has absolutely no bearing on its needs. 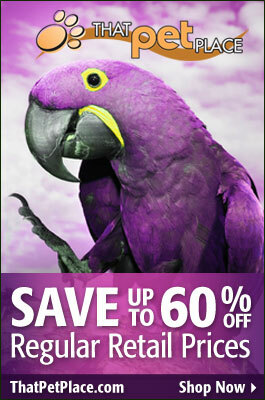 Along with a large cage’s higher price comes a host of benefits to both bird and bird-owner. Simply put, your birds will have more to do, and you’ll have more to see. 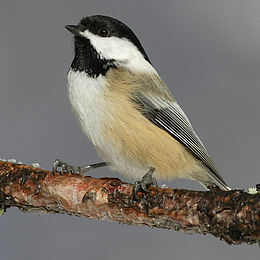 Wild seed-eating birds spent most of their free time foraging for food. Pets, on the other hand, can fulfill their needs in several minutes. A large cage allows us to provide our birds with a variety of “behavioral enrichment” activities…hidden food, a variety of foraging toys, fruit tree branches and dead leaf piles to search through, and so on (please see linked articles, and post below, for further information). One can also be more creative with perching when using larger cages…natural tree branches and vines are especially useful when seeking to arrange a more interesting living space. If ample space is available, some finches can be kept in pairs or groups, and breeding will be more likely. Shy species or individuals can be made more comfortable by the addition of hanging live or plastic plants and other sight barriers. Providing a variety of nest sites, an option not possible in small cages, will also increase the likelihood of successful reproduction. While most softbills are best kept in aviaries several, including the charming Red-Vented Bulbul (please see article below), adapt well to large indoor cages. Some cages come with removable dividers so that separate living spaces can be created. This is especially important when one is introducing potential mates. Other features include storage shelves, wheels, large doors and a variety of color options. I like the A&E Flight Cage because it is unusually tall. Height is appreciated by most finches, and is critical to success with shy, arboreal birds such as the Nonpareil or Pin-Tailed Parrot Finch. Measuring 40 x 30 x 72 inches, this cage will be well-used by canaries and nearly all finches, and can accommodate hanging plants, vines and several nest boxes or bowls. The A&E Double Flight Cage measures 64 x 21 x 65 inches, and is equipped with removable dividers, a storage shelf and wheels. 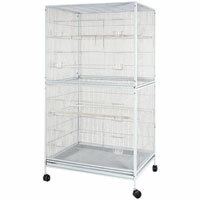 Measuring 32 x 21 x 74 inches, the A&E Double Stack Cage features 2 spacious cages, one atop the other, and a storage shelf. It is equipped with wheels and available in 6 colors. Next: The Best Way to Prevent Feather-Plucking – Make Your Parrot Work!